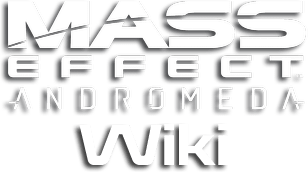 Mass Effect Andromeda Wiki will guide you with all information on weapons, armor, quests, romance, NPCs, maps, walkthroughs and more! Mass Effect Andromeda Free Trial Available! Finished ME:A yesterday. Pretty good ending to me (with rather good punchlines). I didn&apos;t understand at first all the hate the game was receiving, I understand it all the less now : I&apos;m proud to have gone through this adventure, it was great ! Indeed, a few things aren&apos;t ok like some human/asari facial animations or some boring NPC. But the rest is just awesome, visuals and combats in particular. Hope you&apos;ll enjoy your trip in Andromeda as I start my NG+ on "insanity" mode, waiting for DLC to come. It&apos;s pretty fun so far. The combat feels really fleshed out and more viable compared to the previous trilogy. I like that there are no real class restrictions and setting up Primer and Denonator combos give a surprisingly large pool of choices on how you want to tackle any given situation.